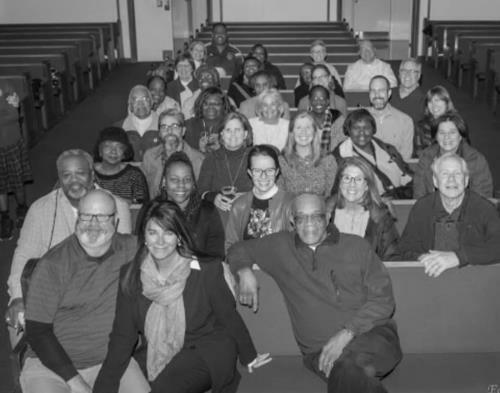 Olivet Baptist, St. Paul AME and St. Paul’s Episcopal are joining to challenge the question How We Do Life Together, including worship, praying, conversing and sharing together. Topics include It Doesn’t Matter What’s Been Written So Far… It’s How We Fill Up the Rest of the Pages That Counts, Everything We Need Is Already In Us, The Power of Sharing Stories, Every Breath We Draw Is Hallelujah and Let Us Break Bread Together. Officials say this is an opportunity to blur racial, denominational and economic lines or any other lines that may exist, and this is done over time. Building relationships flourish in contexts where there is shaped worship and prayer, common meals, informal conversations and a spirit of witnessing to the city. This Life Group will meet five Tuesdays, April 30-May 28, from 5:30-6:30 p.m. at Olivet Baptist Church, 751 ML King Boulevard (across from the main location). This Life Group is open to the public. For more information contact Jane Bowen at janehamptonbowen@yahoo.com.